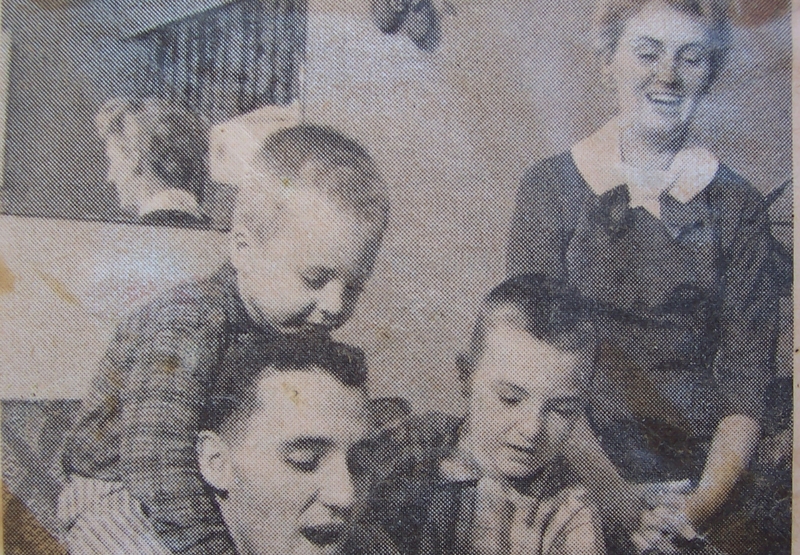 Jacques Plante, with wife Jacqueline and boys Michel and Richard, singing and forgetting about flying pucks that hurt when they hit your face. 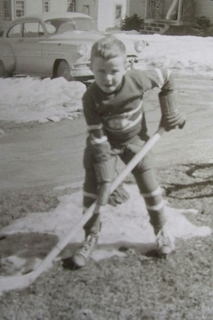 Plante also liked to knit, and made his own socks and toques. 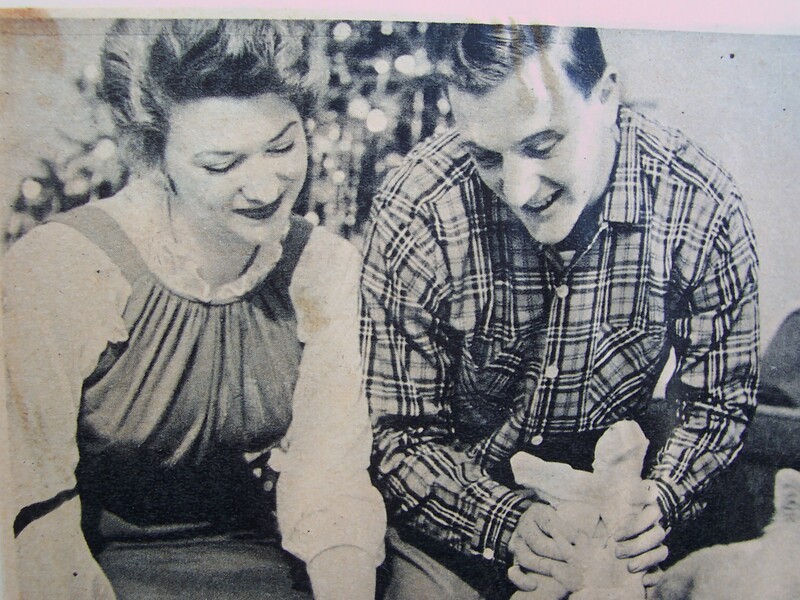 Dickie Moore and his lovely wife playing with their little baby. Such a fine looking couple. 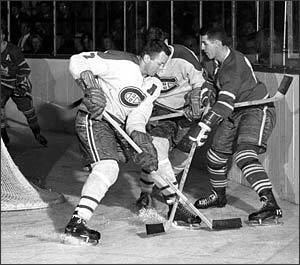 One of Moore’s daughters, and it could be the one in this photo, is dating one of Doug Harvey’s sons right now. 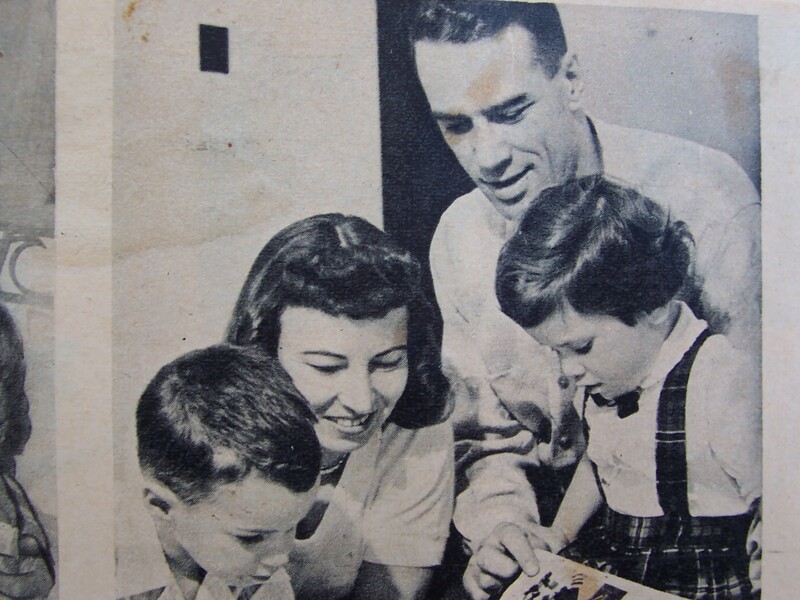 Bert Olmstead showing his beautiful family his scrapbook, just like the Rocket did. Scrapbooks were all the rage back then, and probably very cool when the scrapbook was about yourself. A few years back, I looked up Olmstead in the Calgary phone book, phoned him and asked him if he’d mind talking about the old days with the Habs. He hung up on me.